Hello Friends, Merry Christmas to all my website users. So lets end this year with a awesome article that is How to hack the Hackers tutorial. In this tutorial i will explain how to hack the hackers with practical examples and you will really enjoy it. 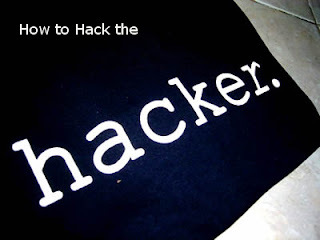 Today i will teach you how to hack the hackers ethically and take revenge from them. Most of us thinks that hackers are extreme computer geeks , its truth but most of hackers are not that much and they always leaves the traces and do very basic and extreme mistakes that will make them even vulnerable to expert guys like me. Today you all will came to know how i hacked almost all hackers accounts , its pity much simple but you must know what to do and how to do. Don’t worry you don’t have to do much as i have already done that for you. What you have to do is just read the methods How we can hack the hackers… so friends read on the article..
a. By reverse engineering and viewing the code of keyloggers. b. By network packet sniffing with wireshark packet sniffer. 2. Hacking the Hackers Hack tools by reverse Engineering. 3. Hacking the phishing web pages(fake pages) of hackers. So by looking at the above topics that we will cover today you will now be very curious that how really it works. So lets start from the first topic..
For this we will need Binary File Extractor. What binary file extractor does that it decodes the executable files in binary string format and then converts them to understandable text. The best tool in this category is provided by McAfee security forensics is Bintext 3.03. You can directly download this tool from McAfee’s website . After Downloading the wireshark, install the software and open it. Now how it really works, Most of the remote keyloggers or Rats upload your system data to hackers FTP after every 2 to 10 minutes interval. What we do is that we will monitor our own network using the wireshark packet sniffer and check the connections that our network is making with other websites or networks basically IP addresses. Now we search the FTP in that which works on Port 21 and then we can easily sniff the password of that FTP account as FTP uses connection control protocol which means its header consists of username and password of FTP on which hacker is uploading data. Here are Steps to use Wireshark? 2. Now the hacker has set a particular timing to send files from your system varying from 2 to 10 mins . So continue monitoring for 10 to 15 mins. I hope you all have liked this technique also… Also friends this technique is also 110% working. Now you all are thinking that how you can hack it. Its also pity simple. Note : Its for Educational Purposes only. Any misuse will result into severe consequences. just remove the file part .i.e test.html . 3. Now what you have to do replace test.html with following: a. log.txt or pass.txt or passes.txt or logs.txt or password.txt try them …. You will surely find the page where all the hacked information will be there. If you have any queries ask me..
hey lokesh i have really enjoyed your posts I was learing some on my own but it’s great to see how a real hacker thinks and how he protects himself from others. I have tried this method that you used to “hack the hacker” and i couldn’t find any programs that had the ftp codes embeded. I opened several programs which i thought were infected and none of them had the code. also i had trouble setting up wireshark to monitor my network. but i continue to read your blog and all the usefull information you provide. i wonder if you take emails from people who only want to learn, i don’t want you to give me anything i would just like to ask you some questions. Thanks again for all that you are doing. thats really cool..Keep it up..
How can we hack their real email accounts , because thee are just those accounts that they used for hacking purposes..